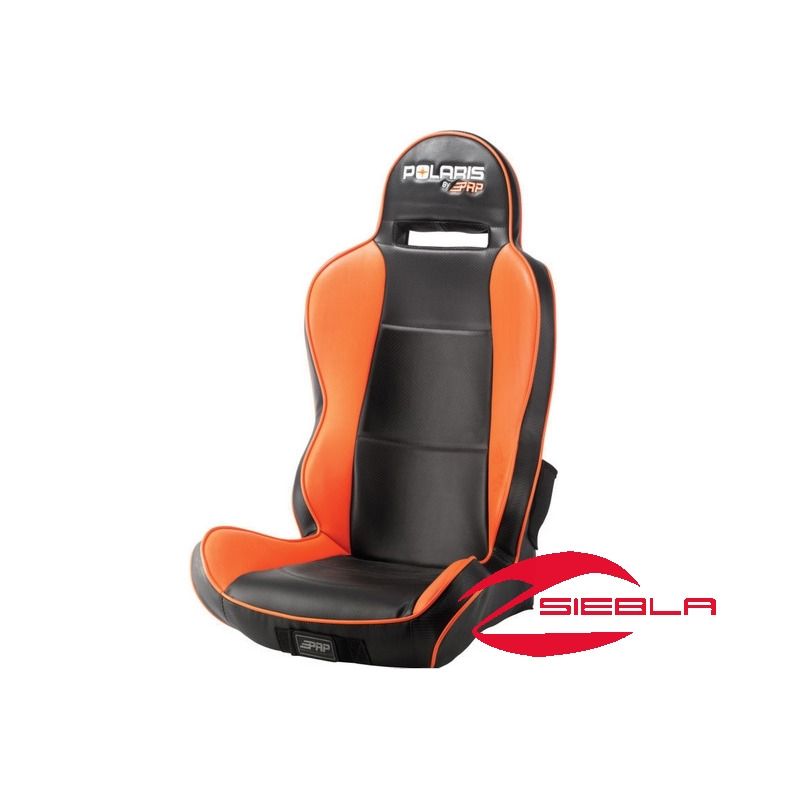 This sporty, racing-inspired black and orange RZR® seat provides outstanding support and comfort for the most aggressive Polaris® RZR® XP 1000 drivers. 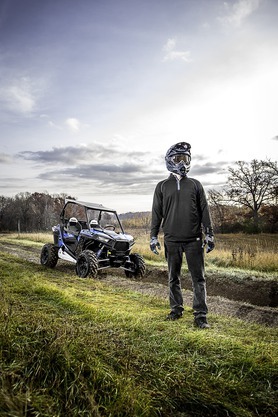 This RZR® seat has side bolsters for extra support and cut-outs to accommodate 4- and 5-point harness systems (sold separately). 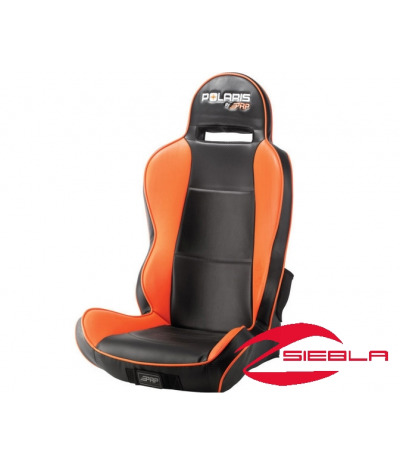 It has wax seam construction to deliver reliable, waterproof performance, stylish custom stitching and Polaris® branding.